Company Name: We Really Work Inc. Description: We Really Work Inc. is a business categorized under financing-business, which is part of the larger category short-term business credit institutions. We Really Work Inc. is located at the address 19314 Hillford Avenue in Carson, California 90746. The Owner is We Really Work who can be contacted at (800)939-0807.
Review: At Wereallywork.com, we provide the world an opportunity of saving money and live a better life. Saving and making money is medium to help our customers live better. Call us today 18009390807! 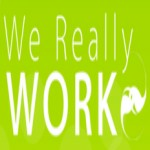 Logo & pictures: We Really Work Inc. Location & access map for "We Really Work Inc."